Eric & Monique’s music is an exceptional blending of intelligence and beauty. The married duo are singer-songwriters who write deeply biblical, piano-driven songs that have a genre blending sound. Their original compositions strive to allow space for the Holy Spirit to minister in a setting of lyrical efficiency, a classically tinged piano and vocal harmony. 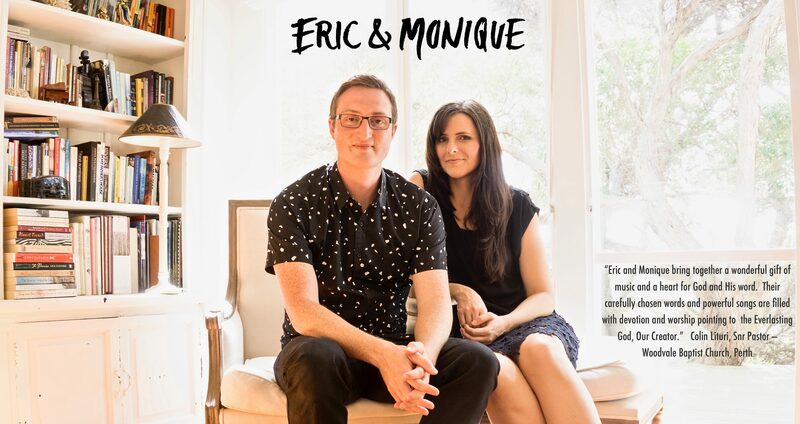 With over 27 months of on the road touring since 2011, Eric & Monique’s full-time music ministry has taken them on tours throughout USA, Canada, Europe, UK, Australia and New Zealand. Throughout this time they have performed over 400 concerts and released four albums. People of all ages around the world have been encouraged and drawn closer to Christ through their Spirit-led music ministry. Hobart Baptist Church — 284 Elizabeth Street. CD Sales / Credit facilities available. Invite your friends and join us. We look forward to seeing you there!